If you prefer leasing vs. buying, explore the Porsche lease specials here at Hendrick Porsche. When you lease a new Porsche model you can experience the fine craftsmanship and advanced technology that Porsche is famous for at a more affordable price. Browse our inventory to find the model that best meets your needs in Indian Trail, then find the lease offer that suits your budget today! 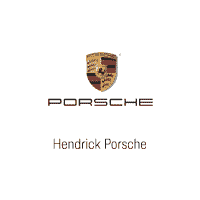 At Hendrick Porsche in Charlotte we have a wide variety of Porsche lease offers for you to choose from. Not sure which model is best for you? Visit our Porsche dealership near Matthews and take one of these world-class luxury performance vehicles out for a test drive. From the dynamic Porsche 911 to the family-friendly and versatile Porsche Macan, you’ll find a model that will be the perfect match with your lifestyle. Contact us today to schedule a test drive, learn more about our inventory, compare models, or explore your leasing options.